Today, Sept. 12, is the birthday of Pedro Albizu Campos. It is time to honor El Maestro. 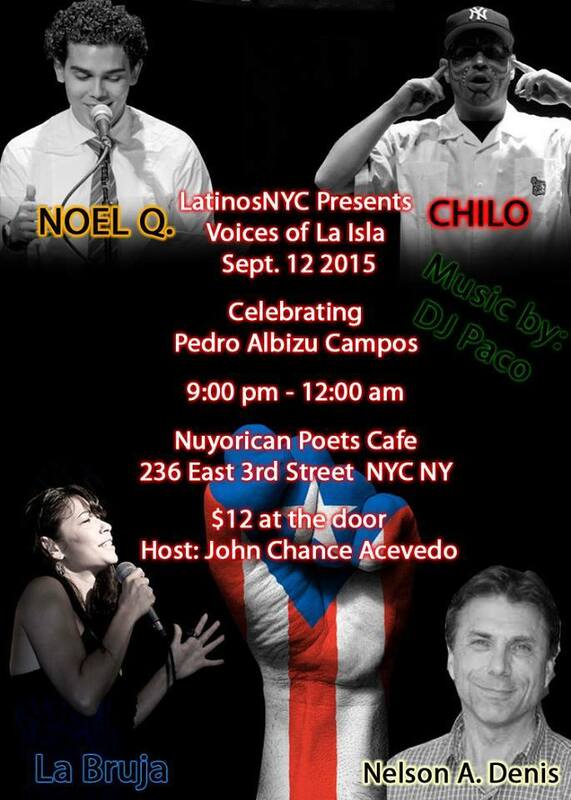 Tonight the Puerto Rican community will gather at the Nuyorican Poets Café, to remember and give honor to Don Pedro. From 9 pm till midnight, the program will recognize and respect the legacy of Puerto Rico’s great liberator, who dedicated his entire life to the independence of Puerto Rico. All of them give honor to Don Pedro tonight. Hi Poets! I’m a Toronto-based new media artist and documentary filmmaker. In March, I will be traveling to San Juan to shoot a short doc on the life of Pedro Albizu Campos by interviewing some of his family members. I will also in be NYC between Xmas and NYE to interview poets with active ties to PR to draw parallels between social activism, anti-imperialism narratives through the spoken word. If you are interested to be part of this project as a featured poet, please email me at maz@maziart.ca. We’d love to interview you! Te quedaras en todo lo Amado. Te quedaras en la tierra de vida. Te quedaras en mi Silencioso abierto. Honor where honor is due …. I wish I was there! !